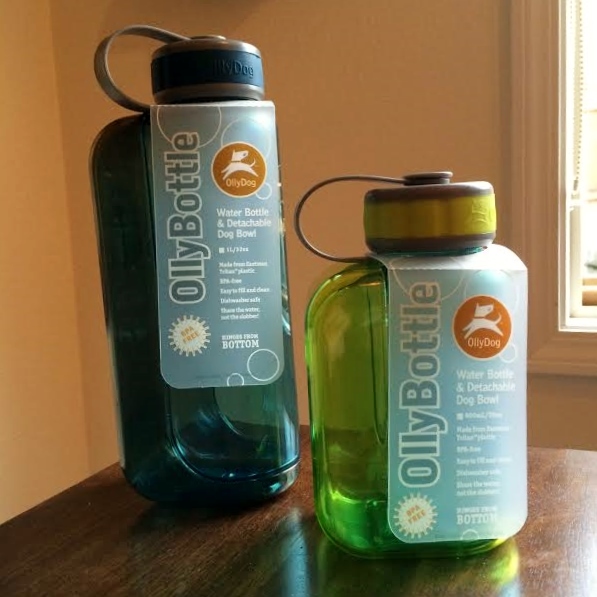 Two years ago I blogged about an awesome product from OllyDog called the Olly Bottle. Well, our first Olly Bottle bit the dust a few months back when I accidentally slammed it in the car door (whoopsie) so we upgraded to a couple of new ones the other day. Yep, I said a couple because OllyDog now has two sizes in their Olly Bottle. We replaced our 1 liter bottle with this fantastic light blue and grey combination and added a little nugget to our Olly Bottle family with the lime green 600 ml bottle. I love these bottles because they’re perfect for a quick swig of water when I need it and even more perfect for Teton when he’s thirsty and we’re out on a walk, hike, or snowshoe trek. Plus, they’re a great value. The 1 liter bottle is $13 and the 600 ml bottle is $10. Check out all of OllyDog’s products HERE. Just because…here are a few photos of Teton’s excursions this week. 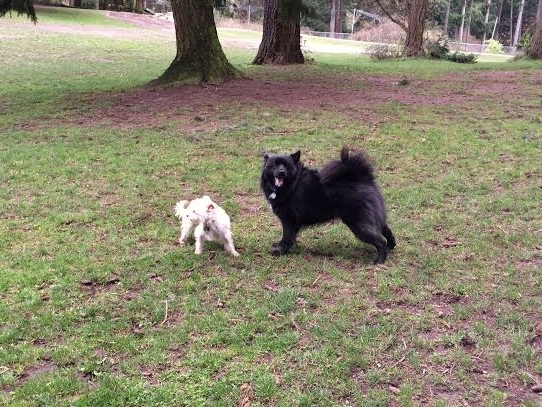 At the dog park with his cousin, Henley P.! 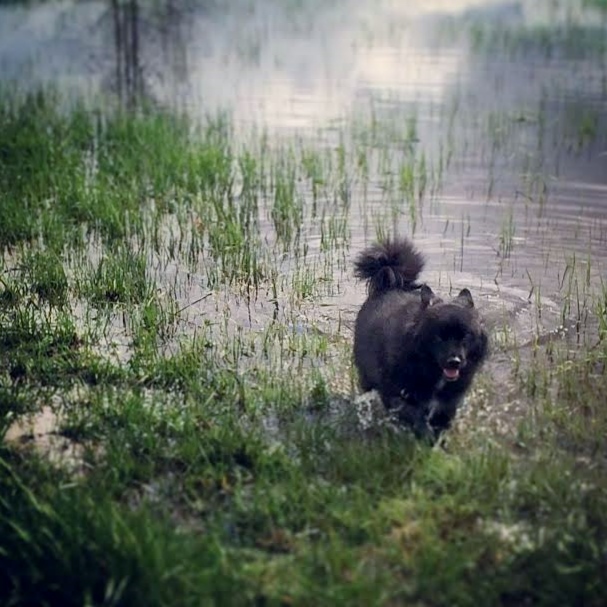 Being a big boy dog and running through muddy, wet fields! I’ve got a cool giveaway coming soon on Her Dog Blog so make sure you stop by later this week and next! Posted on March 18, 2014 by Shannon	This entry was posted in Backpack, This 'N' That. Bookmark the permalink. Interesting. Great product post again! Thanks for sharing, proved helpful! Loving the pooch pics too. Don’t forget to check out us at our blog! 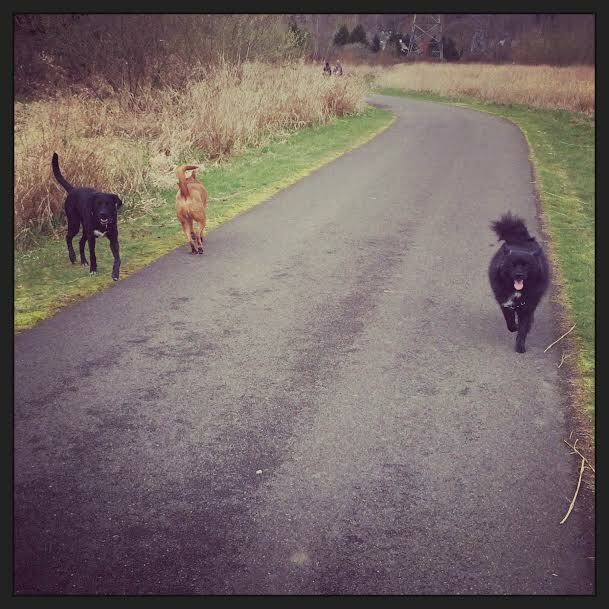 We’re full of doggy adventure! Lots of Woofs from Earl and I at Earls World!